verdigris hall*: Look Ma No Stamping! An eclectic, eccentric (often messy) house pieced together from paper, rubber stamps, a smidgen of glitter, grandiose dreams and a whole lot of glue. I am a big fan of a high saturation of bright white with splashes of color and touches of inky black. A master of this is Christine Middlecamp. Sigh. 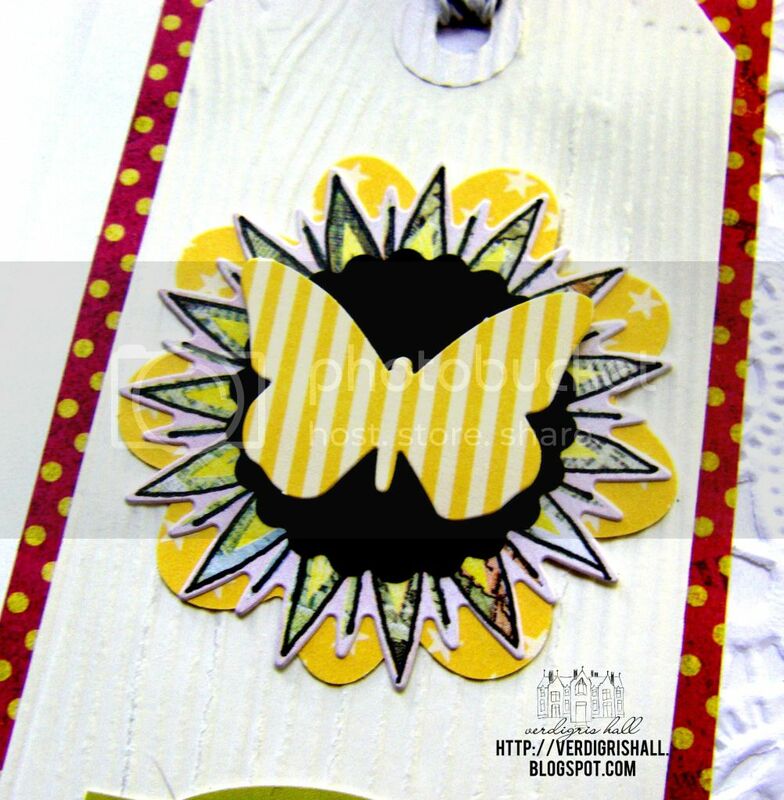 Her work is gorgeously layered and so vibrant like this project HERE. Last night I found I needed a birthday card for an aunt of mine and I wanted to explore these colors and go a different route in making the card or in other words: make a card with no stamping! After exploring my big tub of embellishments I picked out the Sidewalks collection flour sack from October Afternoon, elements cardstock sticker sheet from the Out of Print collection by Basic Grey and die cut stickers from the Countryside collection by Studio Calico and a lovely woodgrain embossed white tag from my new July ohDEERme kit from Freckled Fawn. I happened to have some older paper from the Lemonade collection and a scrap from June Bug (both favorites of mine) by Basic Grey out from another project that worked with these items. 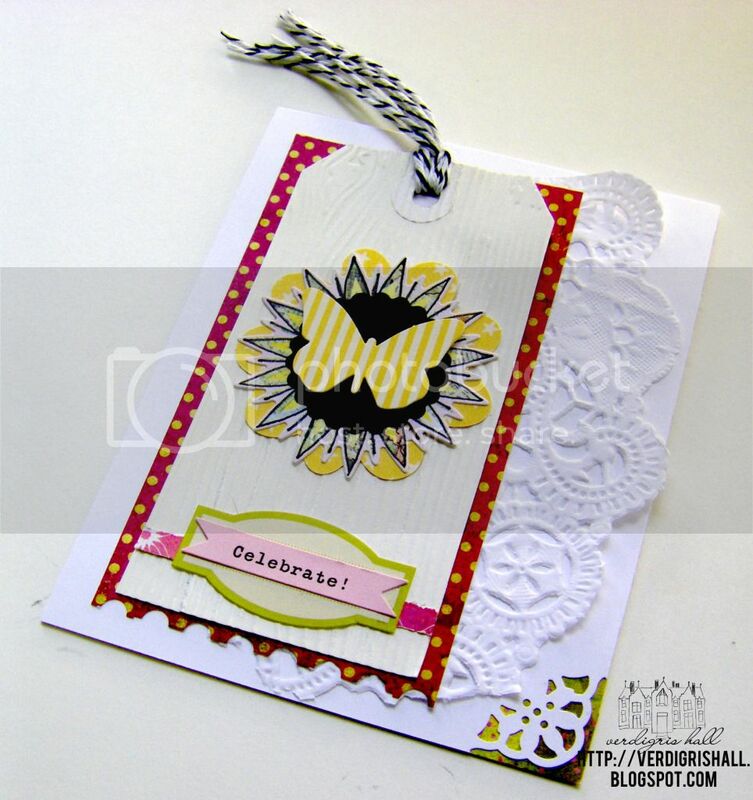 I realized I needed touches of black to make the colors pop a bit more so I added some black lines to the sticker from the Out of Print collection and adhered the yellow butterfly to a black scallop circle cut from cardstock. The black and white twine tied on the tag and it's pattern paper backing seemed like a natural fit. 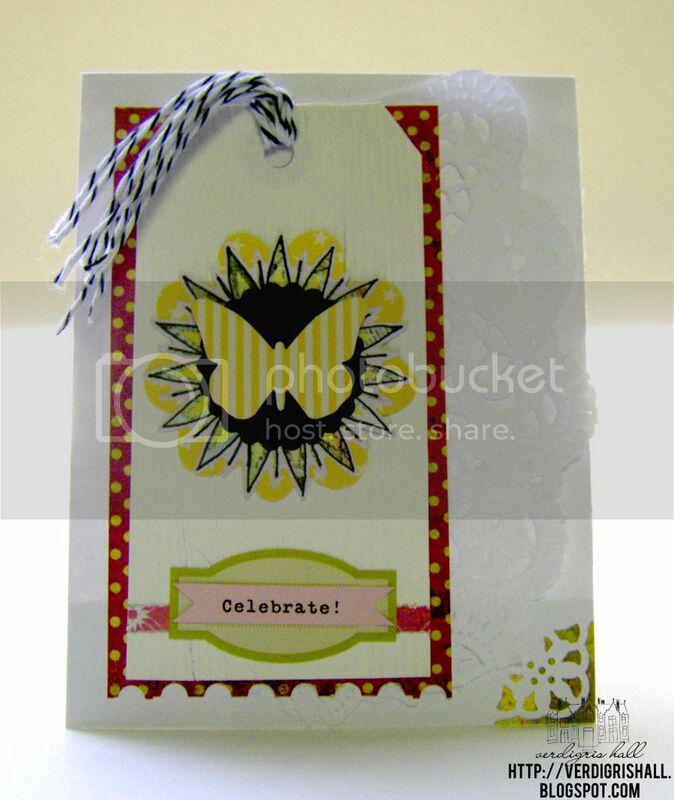 To the card base I added a piece of doily I had left. The card still looked a bit bare in the bottom right to me so I punched the corner and added a strip of patterned paper behind it to add another element of green and interest. I hope my aunt likes it. I had fun making a card a bit different than the norm for me. I appreciate you taking the time to visit! 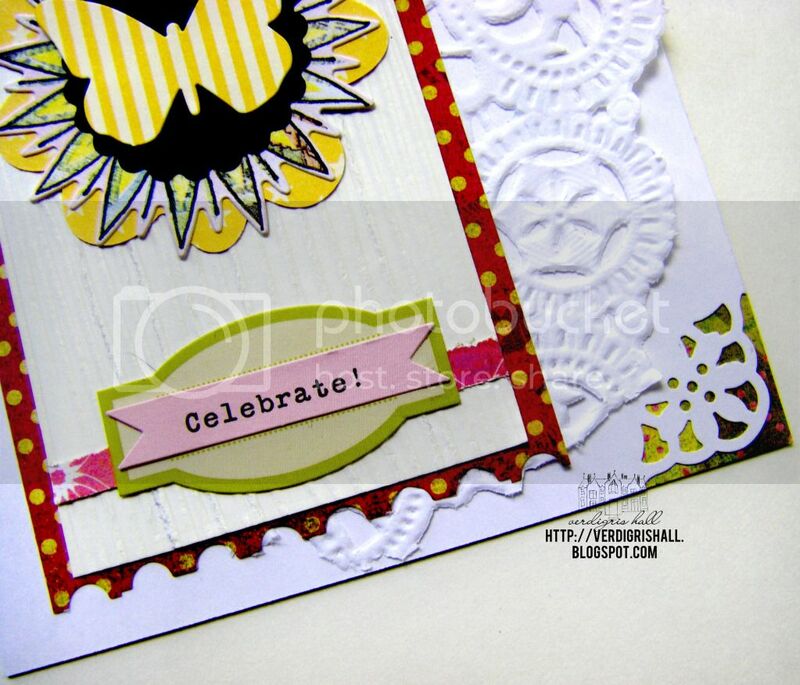 I love that there is no stamping :) and that you used so many elements from your stash. Good job! I am someone who crafts, reads, writes, eats, cooks, bakes, talks, watches various movies and shows of questionable quality, sleeps, works, walks and dreams (and not necessarily in that order). You can find me at Winnie & Walter putting dreams into action. Racing to 5: The Twins Turn 5! On-Line Flashback Box Sale is HERE! Down for the count. Pneumonia. workspace wednesday | gathering inspiration.